Blink is a book about the judgements we make about the world in the time it takes us to blink. It is about the inferences we make that we can’t explain and the decisions we make that we can’t justify, although we know we are right, and most of the time, we are! 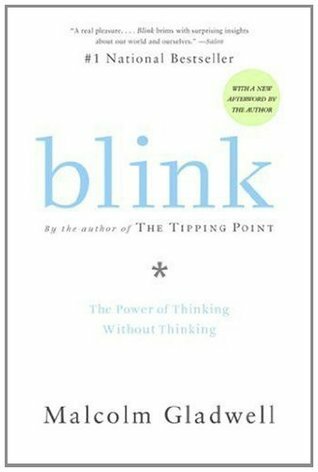 Blink refers to this phenomenon as “thin-slicing” and teaches you how to be aware of it, and use it to your advantage. Every assertion in this book is backed up by studies and scientific research, so don’t be taken aback by some of the more outrageous statements—they’re all fact. We have compiled a list of actions drawn from this book that you can follow to be more aware of how you think, as well as to better yourself. The first few actions will help you hone your decision-making skills, and the next few actions will help you build on your interpersonal relationships. Try to incorporate at least one or two of the actions into your daily habits; you will see a tremendous increase in your quality of life. I will give my partner the emotional support he/she needs. Use the effects of priming to your advantage. Interpret your gut feeling accurately—different doesn’t mean bad. Pay attention to facial expressions. Learn to reason out why you like what you like. Listen with your heart, not your eyes.